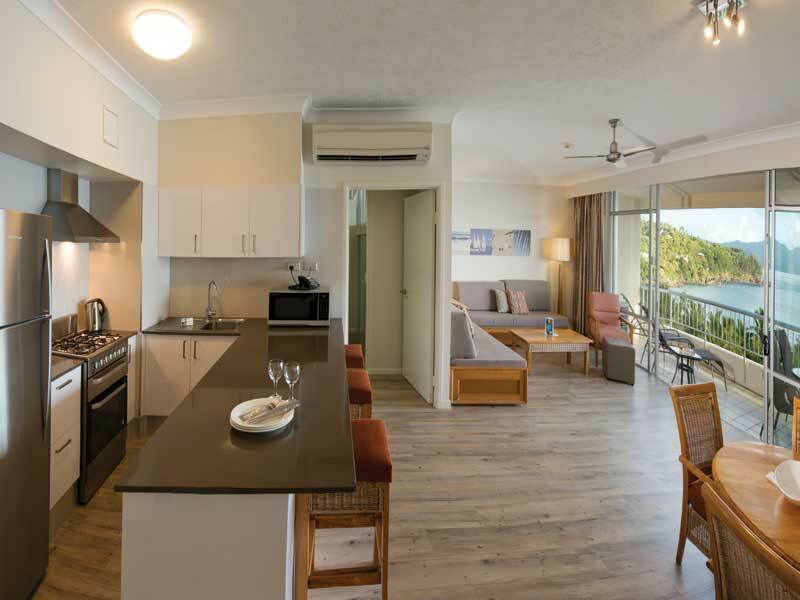 The Whitsunday Apartments are ideally situated adjacent to Catseye Beach on the resort side of Hamilton Island. 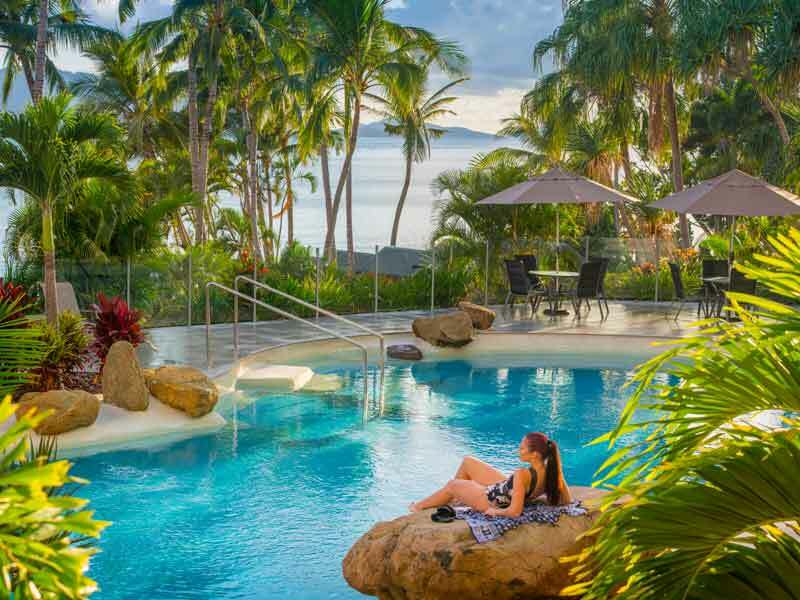 Their location, in the Whitsunday Islands, make these spacious apartments one of the most spectacular and sought-after holiday destinations in Australia! With beautiful warm weather all year round, pristine beaches, lots of activities to try and restaurants and bars to visit, you won’t regret it when you book your next Queensland getaway here! 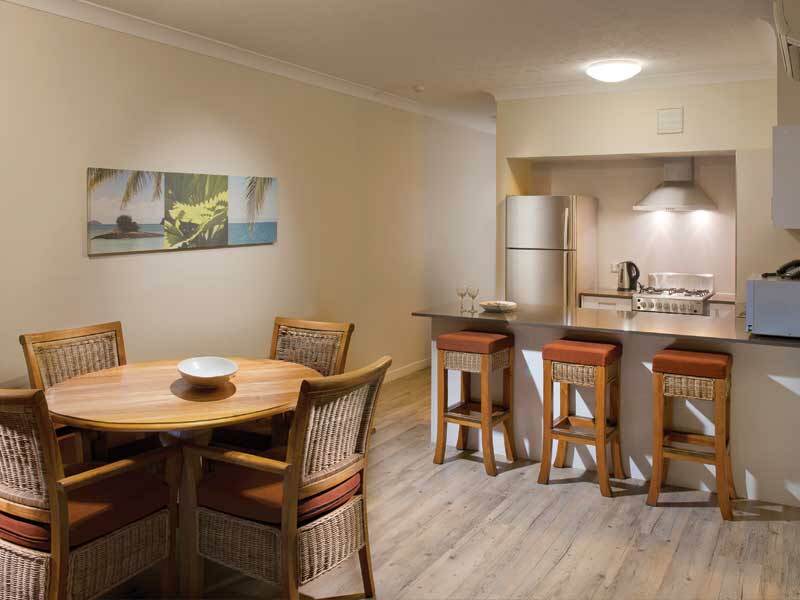 Feel completely at home upon arrival at the Whitsunday Apartments. Be greeted by the friendly smiles of resort staff waiting to show you to your room where you will wake up in paradise each morning. 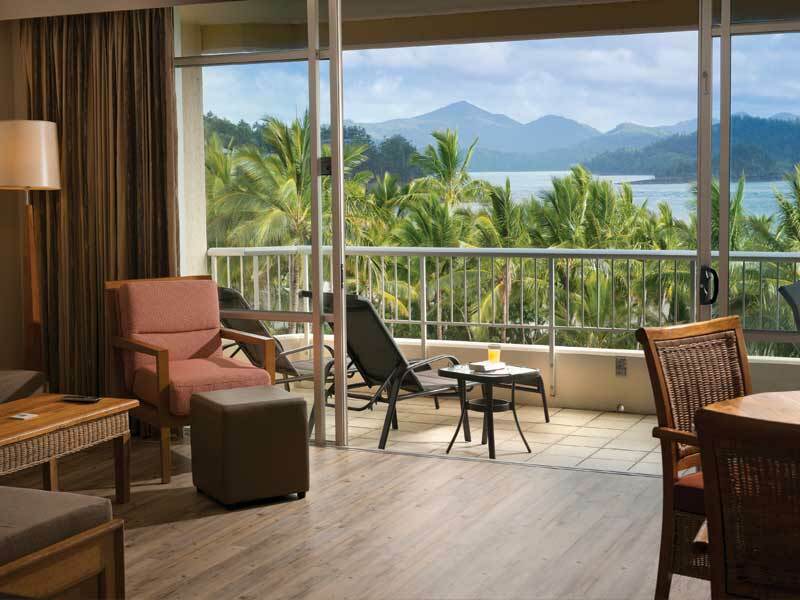 The Whitsunday Apartments are recognised for their well-appointed features and incredible location, and it is not hard to see why! This amazing beachside accommodation is home to 140 separate apartments. Each offer their guests a spacious layout spanning over 84 sq. metres and the furnishings provide absolute comfort and luxury. With both King and Single beds, the apartments provide the perfect place for you to lay your head for an incredible night’s sleep. Sip on tea or coffee when you wake up each morning, stay cool with air conditioning and keep entertained with a TV and DVD player. 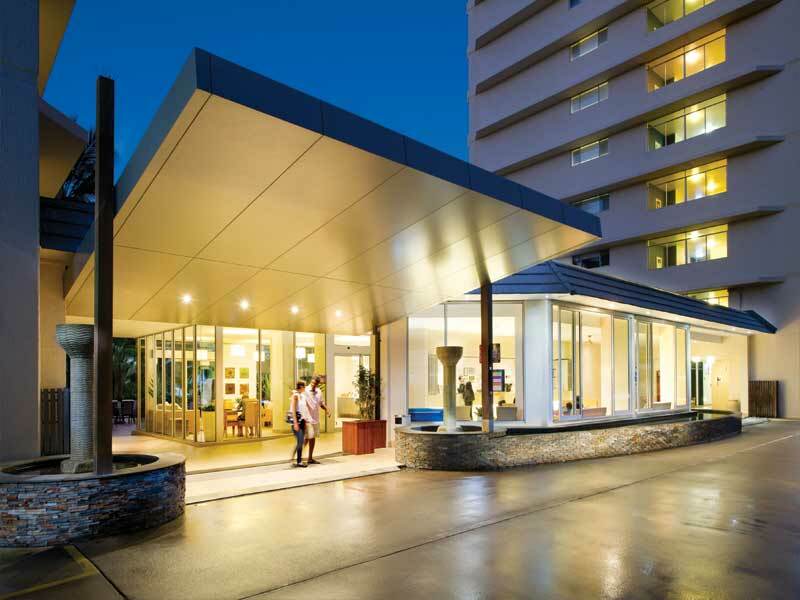 The rejuvenating status of the Whitsunday Apartments is reflected in its beautiful interior, breathtaking location and wide selection of facilities and services on offer. Located adjacent to Casteye Beach, you will be in the perfect location for swimming and snorkelling. Guests can dive into the pristine blue waters surrounding Hamilton Island to discover the diverse marine life that abounds there. If the ocean isn’t for you, there is a lagoon-style swimming pool and heated spa surrounded by landscaped gardens to be enjoyed as well. 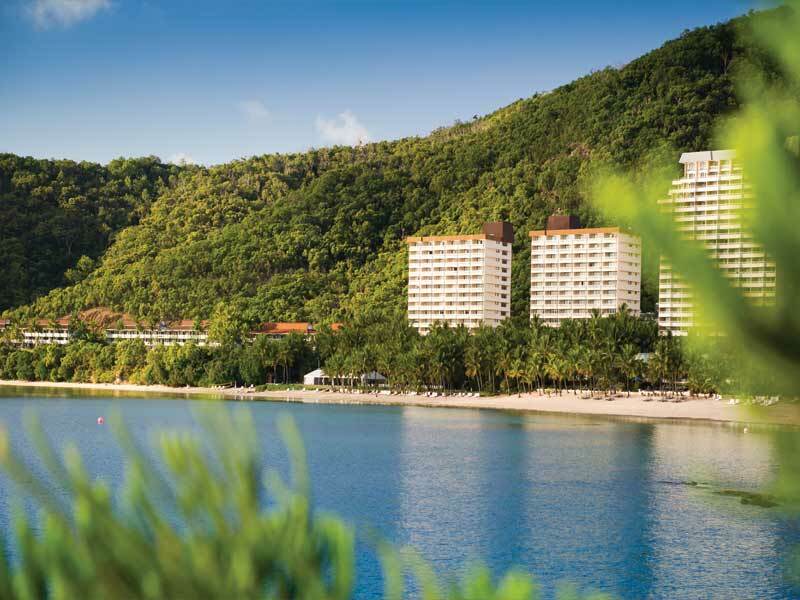 For something on land, tee up for a round a golf at the Hamilton Island Golf Club located within 2km of the resort. Stay connected throughout your trip and upload all of your holiday snaps with free Wi-Fi in the Guest Lounge. 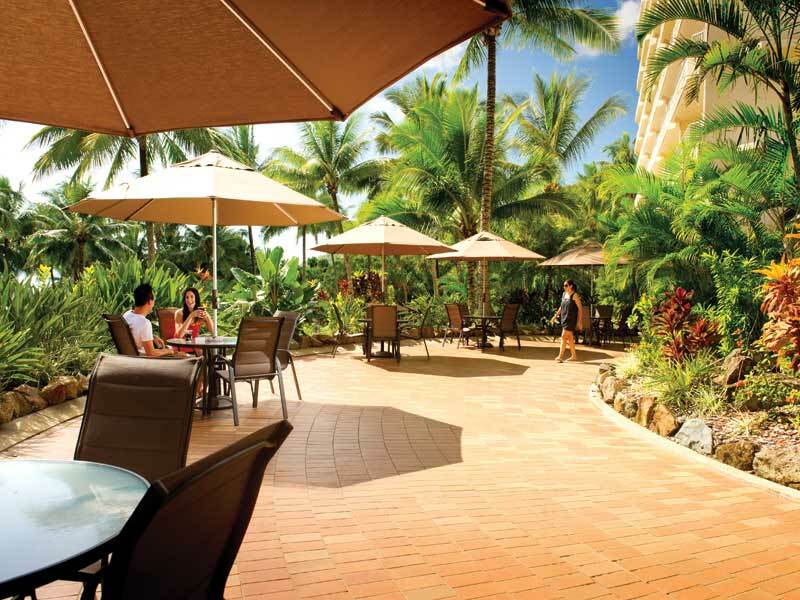 Step outside of the resort and explore the island with unlimited use of the scheduled island shuttle service daily! 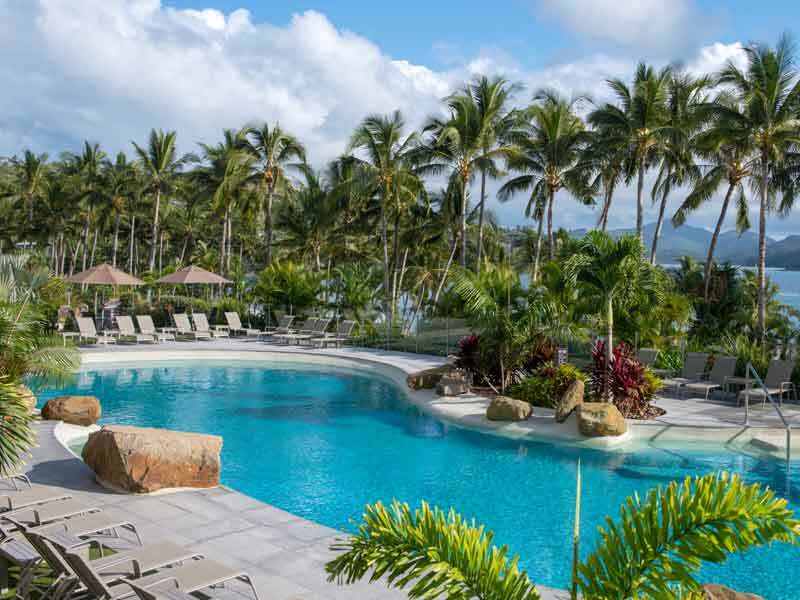 Why go to Whitsunday Apartments? 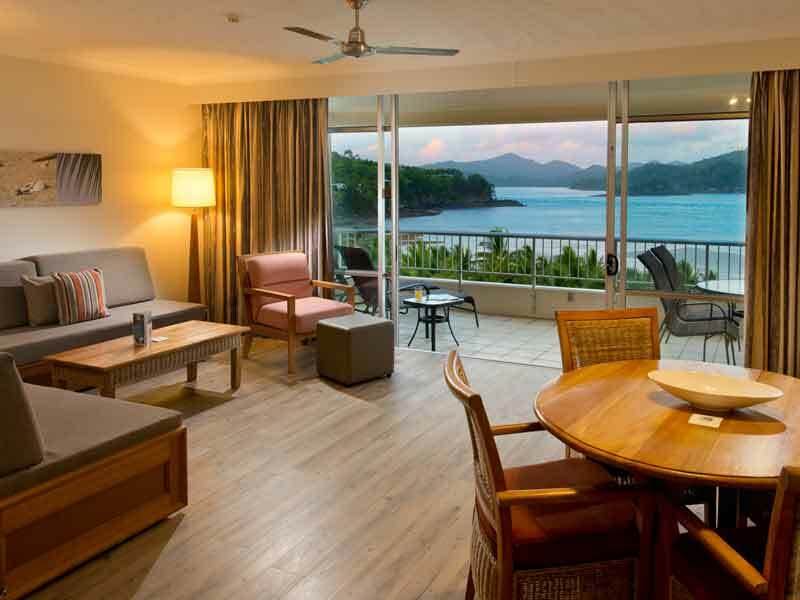 This home away from home, with its luxurious features, incredible amenities and prime Hamilton Island location, is the perfect holiday resort destination for your next tropical getaway! 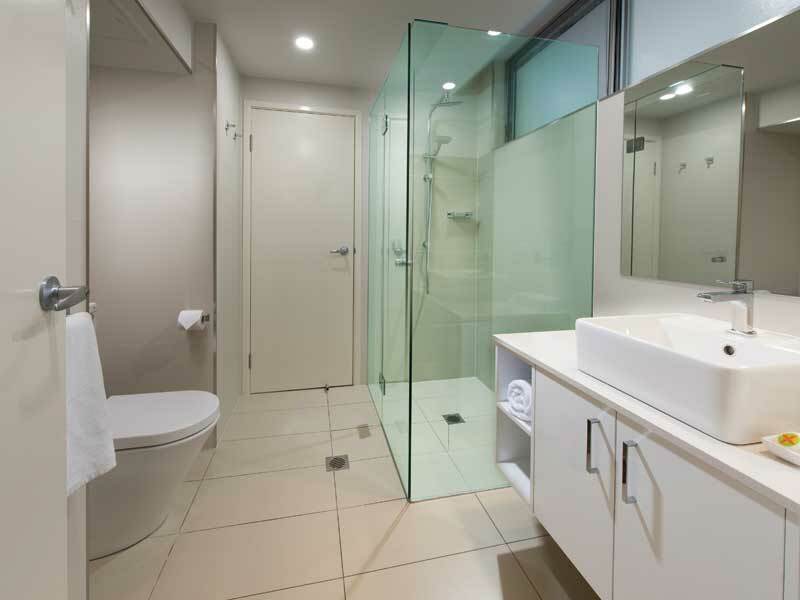 No matter how many people you are travelling with, the Whitsunday Apartments have rooms to accommodate you. Lose yourself to island life in Queensland’s Tropical North. 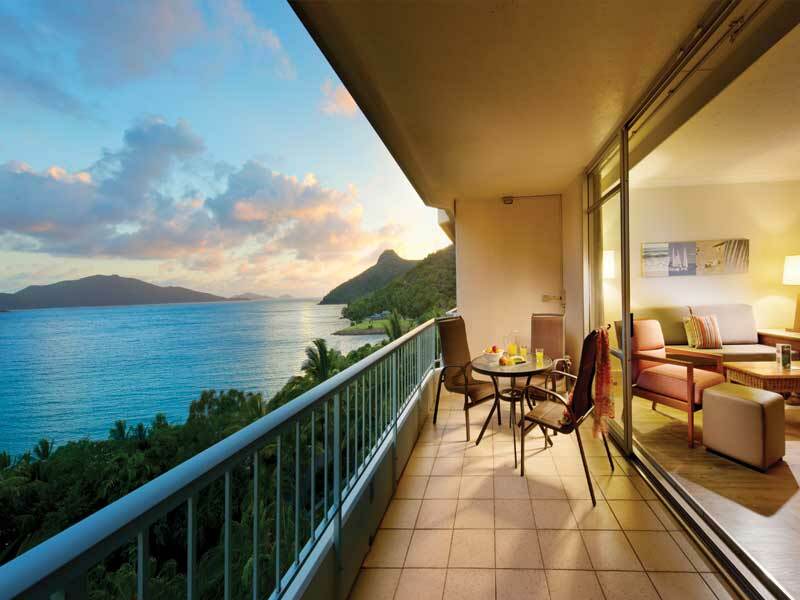 With views for days, you’ll never want to leave! 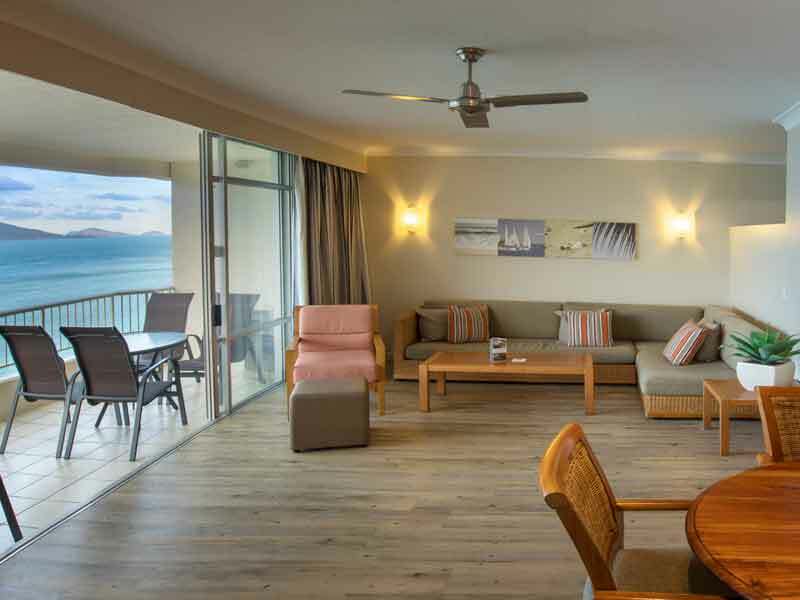 With incredible views spanning over Catseye Beach, Sea View Apartments are positioned high above the water on the upper floors of the Whitsunday Apartments. They can accommodate up to 5 guests, spread out across 85sq. metres of space. Rest easy in your own private bedroom. 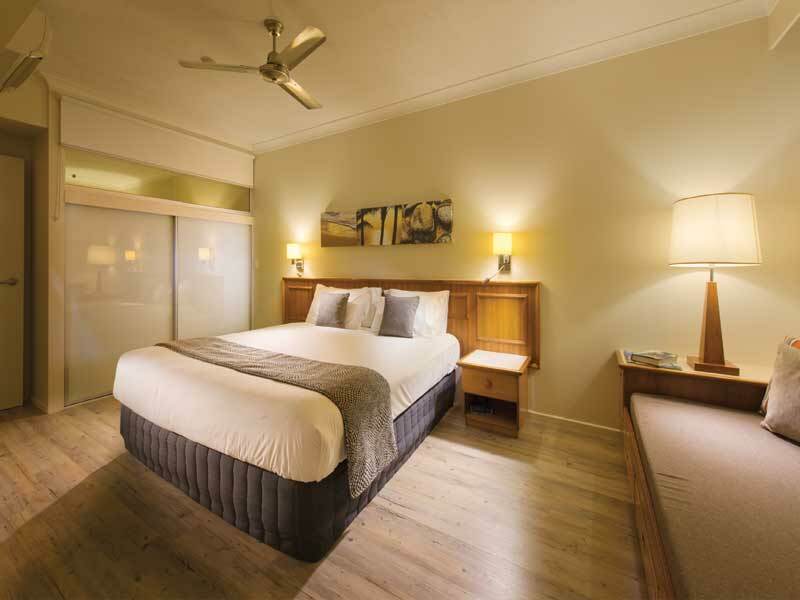 Complete with King bed, single divan and a TV, it’s easy to wake up each morning in paradise! To keep you entertained, these apartments also feature a lounge area with 2 single divans, a TV, DVD player and dining table, plus there is air conditioning, ceiling fans and you can prepare your own meals in the fully equipped kitchen. 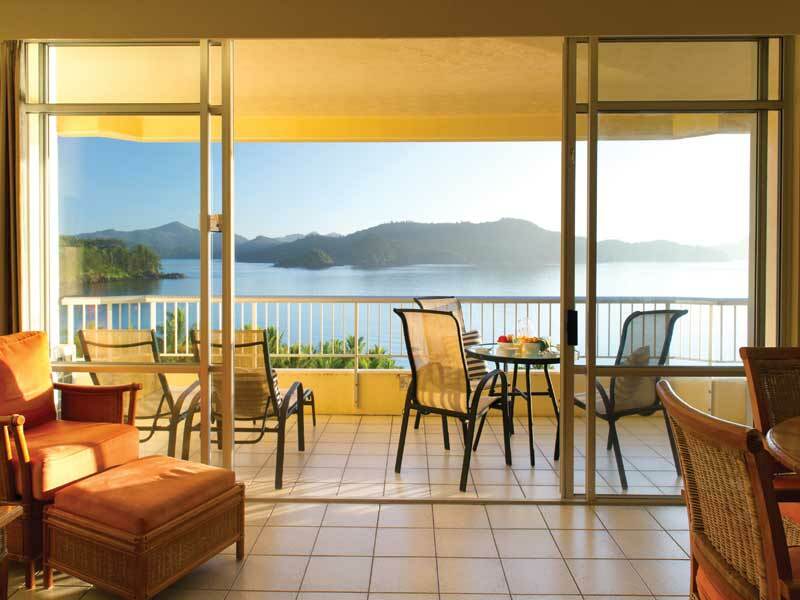 With spectacular views over Catseye Beach and the Whitsunday Islands, Deluxe Coral Sea View Apartments take a premium position on the upper levels of the Whitsunday Apartments. They can accommodate up to 5 people across 85sq. metres of space. 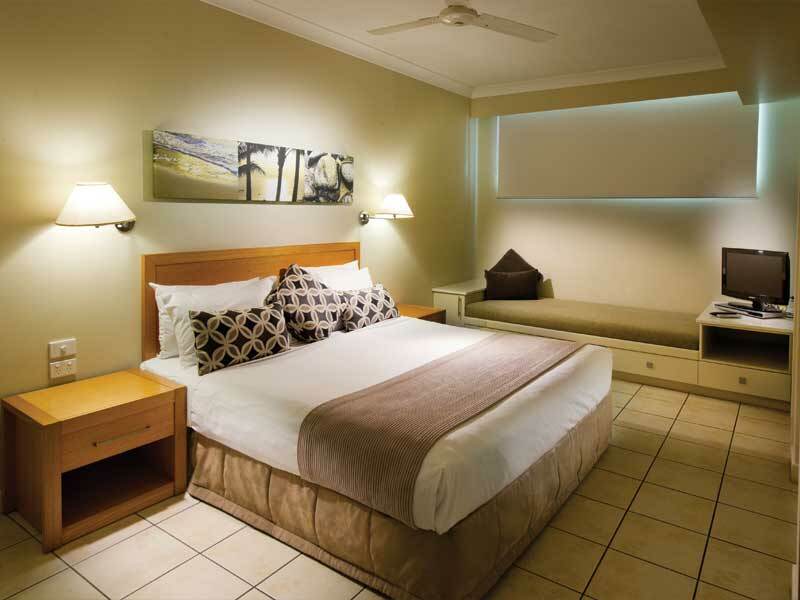 Rest easy on a King bed, lounge on your Single divan and wake up each morning in paradise in your own private bedroom. If you tire of the view, keep entertained with TVs (one in the lounge and one in your room) and DVD player. Stay cool with air conditioning and ceiling fans, prepare your own meals in a fully equipped kitchen and dine either in the lounge/dining area or out on the balcony to make the most of the view! 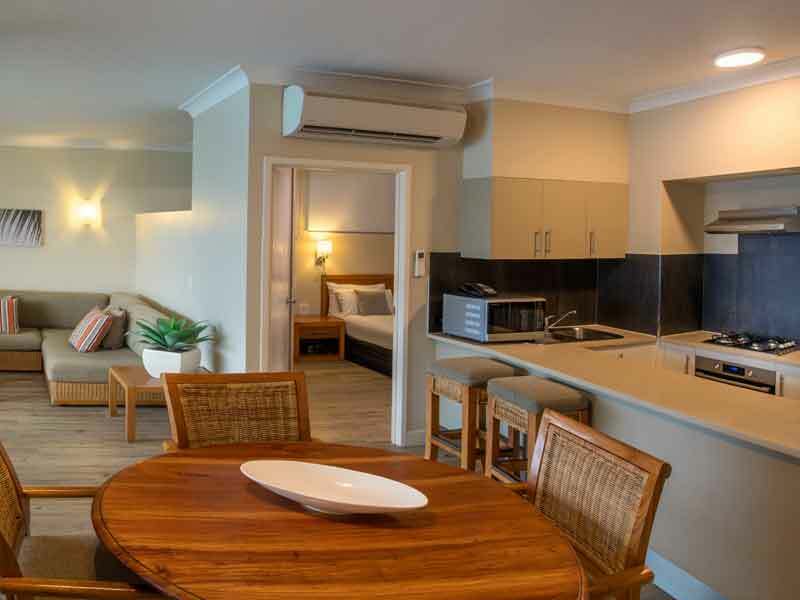 The Whitsunday Apartments are located on Hamilton Island. Set adjacent to Catseye Beach, guests can enjoy direct access to this incredible stretch of sand. 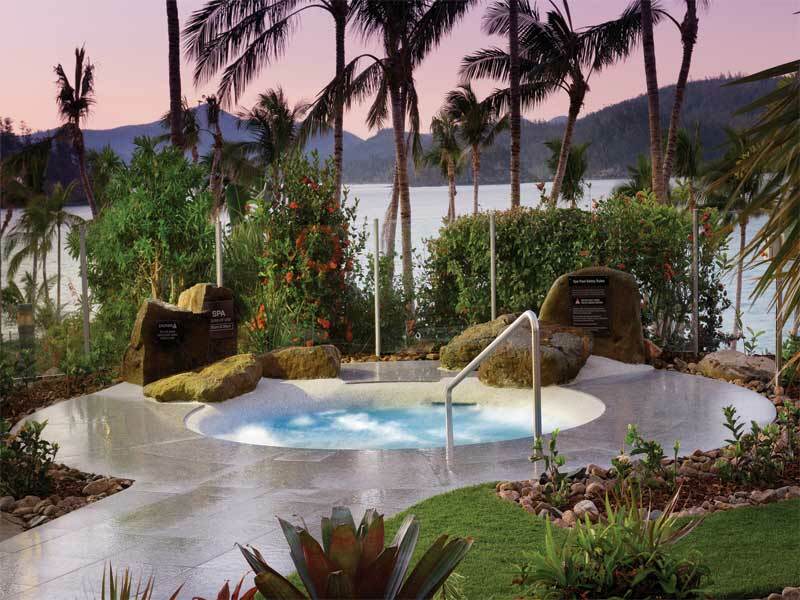 Hamilton Island is surrounded by spectacular reefs, beaches and is ideal for those wanting a laid back, indulgent escape. Treat yourself on this incredible destination just off Queensland’s mid-north coast! Coast! It is not hard to find something to keep you and the family busy at the Whitsunday Apartments! Spend your days making the most of the warm weather and water. Located adjacent to Catseye Beach, guests can swim and snorkel in one of the most pristine dive destinations in the world. With spectacular coral formations, hundreds of species of fish, turtles, mantra whales and even visiting dolphins, it’s a real treat for the eyes! 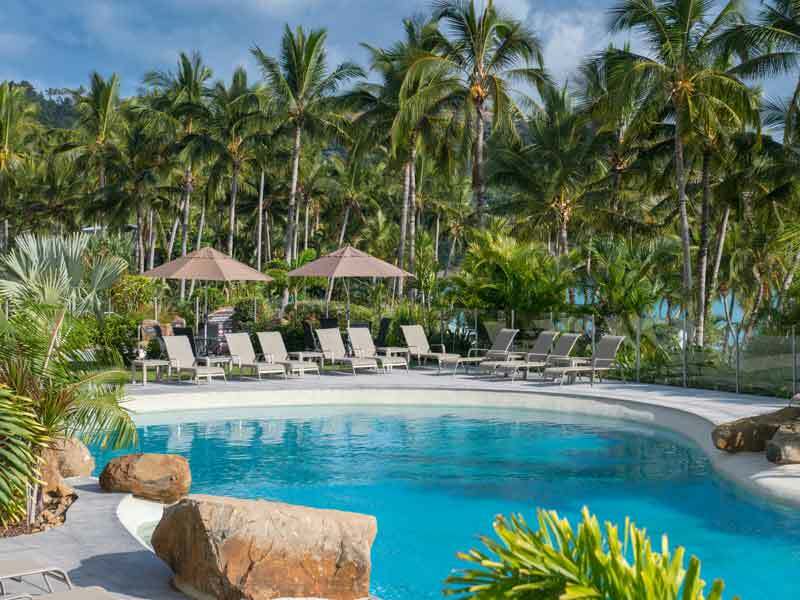 Dip in the lagoon-style pool, enjoy the sun lounges and relax in the spa. 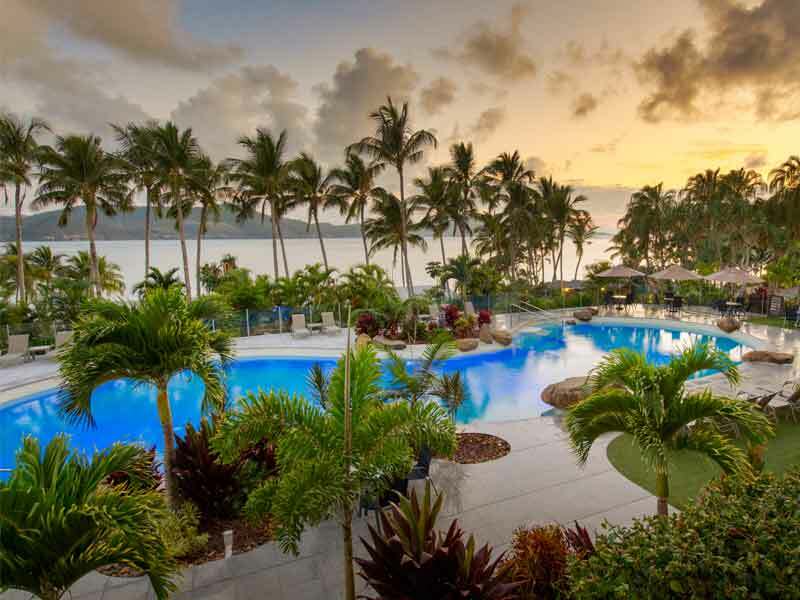 Tee up for a round of golf at the Hamilton Island Golf Club on Dent Island. This 18-hole course is one of the most challenging in the world and boasts a variety of obstacles for those willing to take on the test. Ask the friendly team at the tour desk for assistance booking a tours to explore the natural wonders of the region on foot, boat or plane. Enjoy an afternoon discovering hidden coves and vistas along bushwalking trails, shop at the Hamilton Island Marina Village or stroll along the white sands of Catseye Beach. Lovely and clean fully self-contained apartment with a magical view out to the Whitsunday Islands. It’s paradise! The staff are amazing, it’s very family friendly and the kids had an absolute blast! We will be back soon.